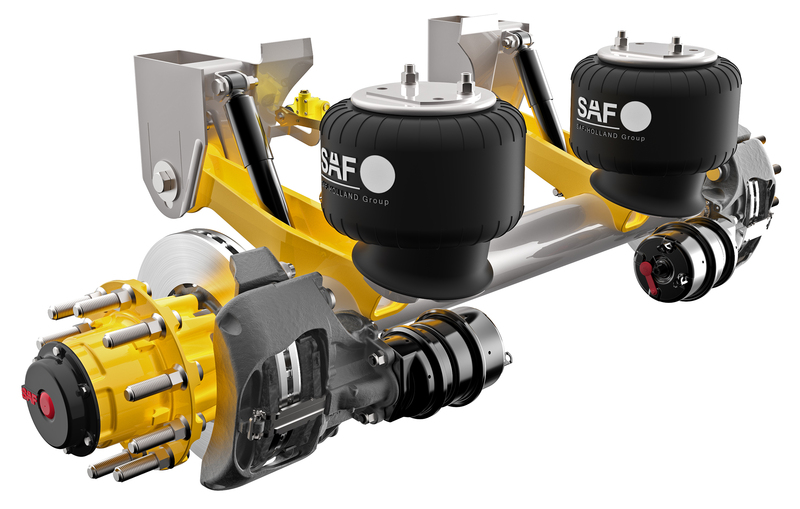 NASHVILLE, Tenn. – SAF-Holland has come out with a new lightweight fixed frame air suspension and a new terminal tractor fifth wheel. Both products were introduced at the spring meeting of the Technology & Maintenance Council. The CBX23 AeroBeam from SAF-Holland. The CBX23 AeroBeam fixed frame air suspension is rated at 23,000 lbs and tips the scales at just 465 lbs, announced Roger Jansen, product manager for trailer axles and suspensions with SAF-Holland. 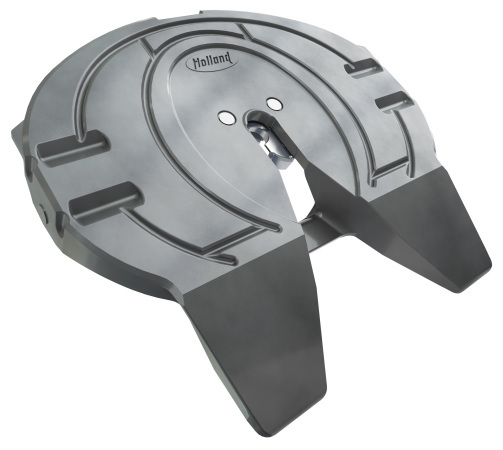 It’s intended for weight-sensitive tanker and flatdeck applications. Jansen said structural improvements were made to maximize the CBX23 AeroBeam’s strength-to-weight ratio. “So, it’s not only the lightest suspension in the market, but it has the durability to stand up to the rigors of the flatdeck and tanker markets,” Jansen explained, adding every pound of weight savings in a tanker application can be put towards adding payload. The CBX23 AeroBeam is 45 lbs lighter than SAF-Holland’s current model and 25 lbs lighter per axle than its nearest competitor, Jansen said. Durability improvements come from: heat-treated cast allow suspension beams; 80 ksi frame brackets and a 5.75-inch diameter friction-welded axle that is 12% thicker than competitive axles. The CBX23 AeroBeam is treated with Black Armour to protect against corrosion and it features the company’s SwingAlign system for easy axle adjustments. The Holland FW35TT terminal tractor fifth wheel. SAF-Holland also unveiled a new Holland FW35TT terminal tractor fifth wheel, designed to withstand repetitive coupling. It features a twin-lock design to prevent kingpin bounce-out. The FW35TT has a load capacity rating of 80,000 lbs and the top plate is cast with an extra thick top surface for increased life. Terminal tractors typically make as many couplings in a single day as a highway tractor will make in a year.